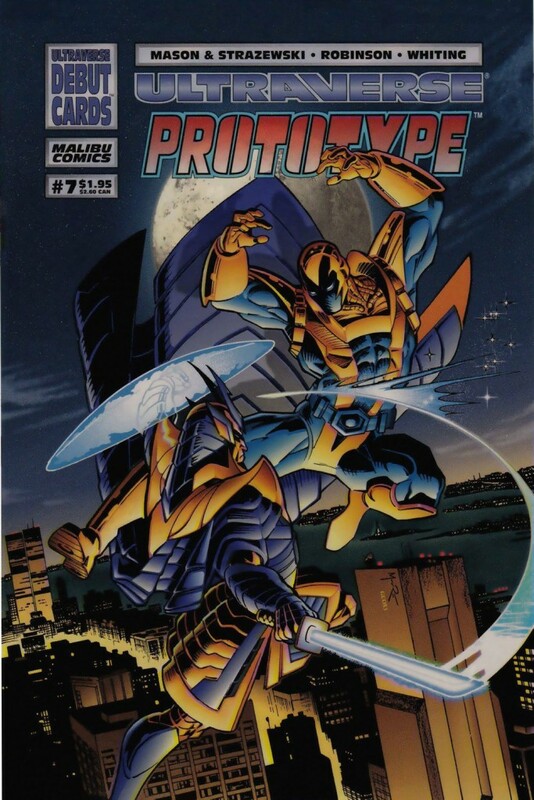 One of my favorite Ultraverse covers was Prototype #7 by Jerome K Moore! Check out the original art below. Such gorgeous lines and detail! Plus, Arena was a compelling villain with a striking look! Jerome posted this to Facebook back in September stating the art was done in pencil, ink, china marker, and gouache. 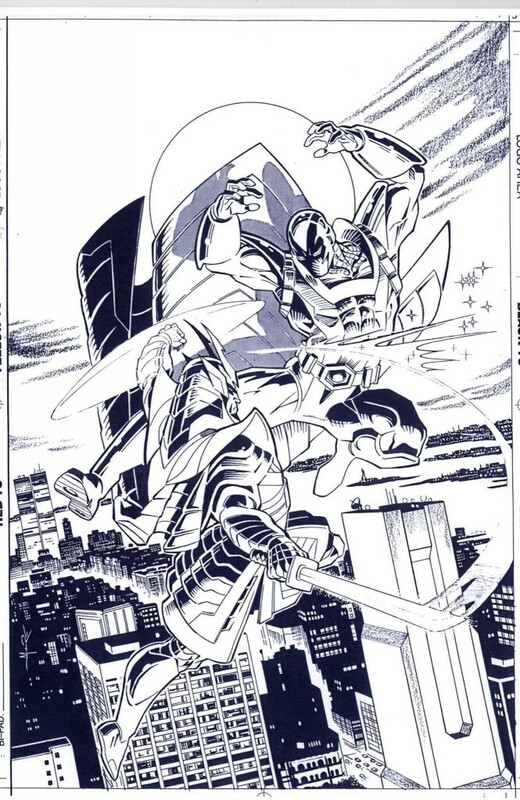 He identified his influences for the piece were: Mike Mignola, Ross Andru, Michael J Zeck, John Romita Sr, and Brian Stelfreeze. The final printed version was colored by George Cox (GC3).